Japanese-Belgian photographer Tetsuro Miyazaki's ongoing project "Hafu2Hafu," which documents the portraits and thoughts on identity of Japanese mixed-race individuals, is finally being released after years in the making. Individuals of mixed roots are colloquially referred to in Japanese as "hafu," the Japanese pronunciation of the word "half," most often signifying someone as being of half Japanese and half other ethnicity or race. The 40-year-old photographer was curious about other hafu and their upbringing, and wanted to explore the meaning behind what it means to be Japanese for those who are half-Japanese. "There are many who feel isolated because of their appearance or parent's nationality, despite growing up Japanese," Miyazaki said. 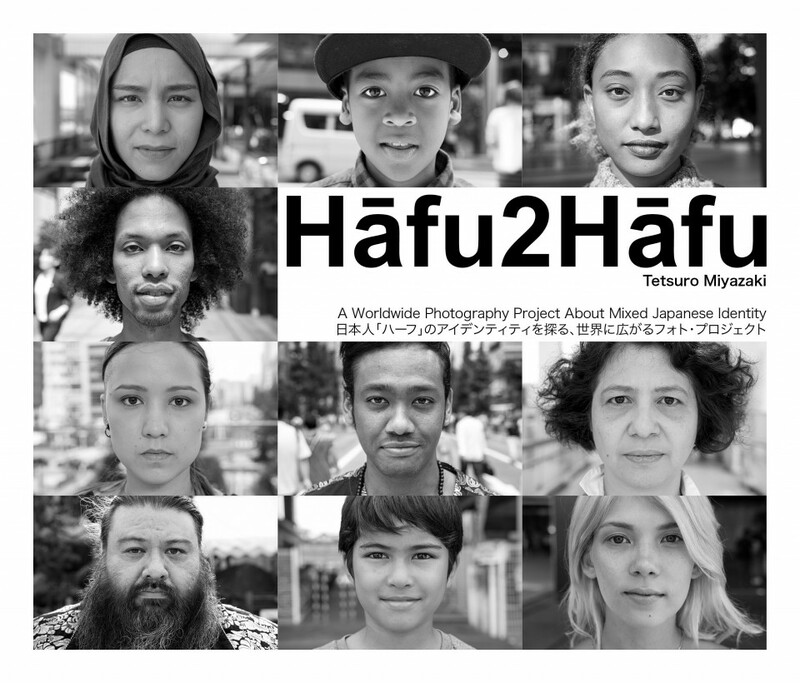 The project features a total of 120 individuals from 98 nationalities of all genders, ages, ethnicities, and places of residence to present the full experience of what it means to be hafu. Each portrait of the 152-page book is shot in black and white, with a question printed at the bottom of the photograph from one hafu to another, such as "How many places do you call home?" and whether they believe discrimination against hafu have been improving, among others. Miyazaki was born to a Japanese father from the southwestern prefecture of Saga and a Belgian mother, and raised in Brussels. He noted, however, "Many treated me like a foreigner based on my name and appearance." His background in kendo and karate as a child led to him spending six months at Kyoto University of Foreign Studies as an exchange student. There, he practiced kendo five times a week where he soon discovered that the university's Japanese students were practicing outside of club hours and felt as if he "existed outside of Japanese society." After graduating from university, Miyazaki joined a company in the Netherlands, but quit his job to pursue photography. He then wrote an article online about hafu, where he gained support for the project. He began the portraits in the summer of 2016 using crowdfunding sources, and is currently working to reach his goal of documenting and photographing half-Japanese individuals from 192 countries. "We're not all bilingual. We're not all models. I'm challenging the stereotype of what it means to be hafu in Japan," the photographer said. "I want this project to open discussions between friends and family about identity." "Hafu2Hafu" can be purchased at https://hafu2hafu.org for 29.5 euros ($33) from April 1. Shipping is not included.